Have you ever suffered from an anger blackout? Something your child does triggers a dormant inner rage and you completely lose your patience and you snap. Your face gets hot, heart pounds and your mind goes blank. The worst part isn’t the blackout. It’s the killer hangover that follows. Your belly aches from regret and your heart pains from the guilt. You don’t recognize the monster that completely hijacked your mind and body. Don’t be embarrassed, we’ve ALL been there. Are you ready to break this pattern? Learning how to stay calm amongst life’s chaos is a skill you can learn. I can show you how. In these following posts, I give you actionable steps to help you stay calm when you feel frustrated and what to do when you slip up. Sometimes your children, spouse, sibling or parent can trigger your anger. 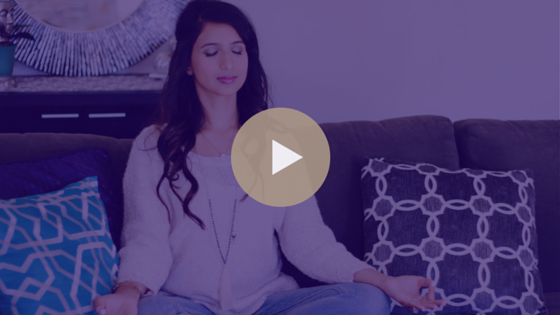 In this video, I share a Kundalini breathing technique to help you stay centered and patient. It only takes 3 minutes and you can do it anywhere, anytime. In this post, I share a personal story about when it’s too late to give an apology. Learn the tragic and unexpected ending and make sure you don’t make the same mistake my hubby Chirag and I made. In this video, I share the tools that help me stay sane when I feel frustrated. These 3 easy-to-practice tools will help you manage your anger without losing your cool.